What’s going on, Toby? Seriously, now: when one of the genre’s finest mainstream voices is stooping to tired numbers like this one, something is seriously up. “God Love Her” is an uptempo, Mellencampish toss-off about a “rebel child” preacher’s daughter who falls for a “bad boy” and – you’ll never guess it – runs off with him to her parent’s chagrin. So basically, every good-girl-gone-bad song ever plus “Whiskey Girl” plus a whole bunch of religious puns. Sweet action. Really, though, is this the kind of song we’ve come to? Has Nashville decided country radio won’t give a fair shot to anything that doesn’t sound like it was written for turbo-hormonal minors, or has Keith just lost his sense of quality? Aside from it being absolutely ridiculous (and reasonably creepy) to have artists at his age recording odes to rebellious seventeen year-old girls, releases like this belie the quality of Keith’s legacy, which has seen material both serious and frivolous that did a heck of a lot more to establish him as an actual artist. And that’s my big problem here: the lack of distinction. “God Love Her” sounds like something any ol’ southern rock wannabe might ship to country radio; instead, it’s coming from one of the genre’s modern greats. It’s a cheesy and overblown little piece, but it could be passable or even enjoyable coming from a younger artist, someone who’s still learning the ropes and looking for that big hit. But Keith is not that artist. He is a seasoned pro who has settled, wittingly or not, for an easy hit. Of course, that’s taking the song out of the context of the video, which is how it’s being initially released. The pairing of the two makes a lot of sense, as the video details a few specific occurrences not mentioned explicitly in the song that lend the story a bit more weight (for example, we see our wild girl hook up with her boyfriend in church, then teach him the joys of Bible study maybe thirty seconds later). Michael Salomon’s direction is sharp and snappy as ever, capturing the song’s heartland rock pulse and comedic implications effectively. But where both the song and video come up short is in never fully justifying the juxtaposition of “goodness” and “badness” supposedly evident in the song’s focal character (our rebellious heroine). We hear Keith assert, “yeah, me and God love her,” but the evidence that she has actually divided her attentions between both affections is relatively slim, as both song and story focus exclusively on the secular end of the situation. In other words, God might love her, but since His relationship with the girl isn’t depicted much at all in the song or video, the abrupt allusion to that relationship feels irrelevant, making the song’s play on its titular phrase seem very forced indeed. Of course, fans may not care about such details; the effect of this joint effort remains to be seen, and there is certainly something to be said for the sense of fun imbued throughout both song and video. But watching through, I couldn’t escape the depressing sense that Toby Keith has essentially run out of important things to say. He’s never been the most consistent artist, but this release might mark the least individual personality we’ve witnessed from him in some time – and that’s what’s going to sink the ship, God help him. Doesn’t this sum up Toby’s last 10 or 12 singles? I’ve actually liked most of his recent output alright, though “She’s a Hottie” got old for me fast. yes, were are the songs for turbo hormonal grown-ups and seniors! What is up with that related post? No clue. I’m kind of afraid to click it and see! I’m not sure we have control over those things showing up, in any case. Toby has easily fallen into the “quality v. quantity” category. He’s like some of these others like Strait, Jackson, Brooks & Dunn, Chesney, etc., etc… where you wonder if we can go any amount of time without hearing them on the radio. I realize they are big $$ makers so Music Row keeps the gates open with their releases but sheeeesssshhhh already! 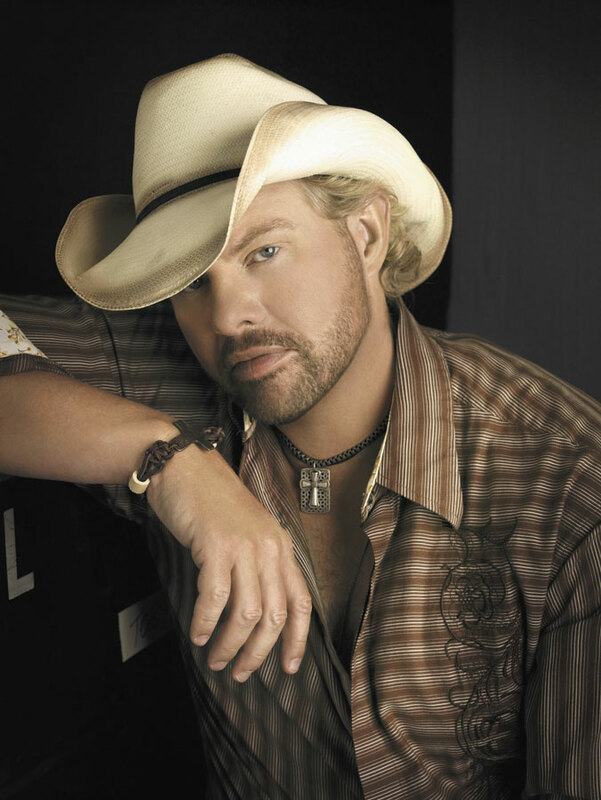 It seems to me that Toby Keith feels he has something to prove with the music he has made the last six and a half years, up to an including “God Love Her.” What that “something” is is anyone’s guess, though it may very well be the supposed lack of recognition at awards time in Music City. But that lack of recognition by his peers may have something to do with his personality. It’s fine to be ornery and all, but a lot of times he rubs people in a very abrasive way (IMHO). But if you have any constructive criticism to offer, Wen (or anyone else), I’ll gladly take it. Thanks! This fanboy thinks ole Dan needs to go back to the typing pool. The CD will prove yet again that Mr Big Dog Daddy will prevail no matter how many “Critics” try to disever the music from fans. was this a ha! or a ha!? Although this one is typical hit material, the new CD is actually quite good and has some really different stuff on it, bluesy, rock-n-rollish stuff. well it’s been awhile since i’ve posted on this website and i can still see nothing has changed. I was singin every word to this song the 2nd time I heard it. For all you idiots that posted beofore me, Yeah what was Toby thinking releasing this one… another top 10 hit? This is why Toby makes 48 million a year and you all make 30 thousand! I’m not judging the song on who is singing it. This is a catchy, entertaining song. In a way it’s a throwaway number, yet it stands up to repeated listening. It’s sung and played with just the right amount of urgency. I suppose the story is corny, but that term could apply to 99% of all country songs if you wanted it to.